Alexander Rossi dominated the race at Long Beach for a second year running, making him the first driver to win back to back races at the track since Sebastien Bourdais’ run of three wins from 2005 to 2007. Rossi’s win also marks the 200th race win for his Andretti Autosport team, prompting huge celebrations. Rossi’s performance was even more dominant than it was last year, leading from the start and forming a five-second lead before the first stops. His lead only increased after that, hitting ten seconds after forty laps and then staying at around that mark for the rest of the race. The only time Rossi’s win looked anything but certain was when he was having to deal with traffic after the second stops and got a bit too close for comfort to Marcus Ericsson. This proved to not be an issue and Rossi took his first win of the season, putting him into second in the championship, 28 points behind leader Josef Newgarden. Newgarden extended his championship lead by one point after finishing in a comfortable second place. The #2 Penske’s race was made by the first stops where they took the risk of staying out later than all the other leaders, putting Newgarden at real risk of getting caught out by a caution. This nearly came to fruition when Santino Ferrucci spun at Turn 1, but a caution was avoided and Newgarden dived into the pits the following lap, jumping Will Power and Scott Dixon in the process. After that, his second place was unchallenged and Newgarden took his third podium of the year. Dixon finished in an unexpected third after Graham Rahal was penalised for a marginal block on the final lap. 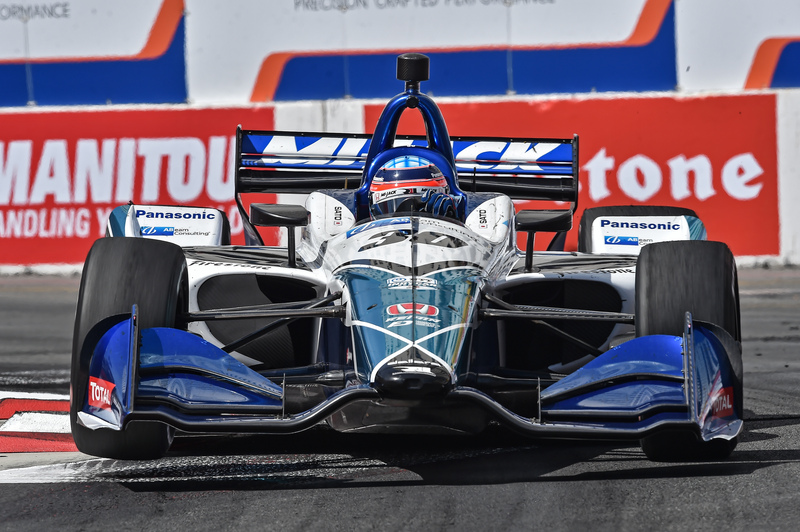 It looked like a third Long Beach podium would be out of reach for Dixon after he had a fuel probe issue during his second stop which meant he was stationary for nearly twenty seconds. After this, Dixon fought back and caught up to fourth-placed Ryan Hunter-Reay with ten laps to go, passing him with just a handful of laps left. He then set about Rahal and probably would’ve passed him without the block from the RLL driver anyway. For Rahal’s part, the block was on the edge; he moved across to the right just as Dixon did. Race direction called him out for blocking, meaning he lost his third-place finish. 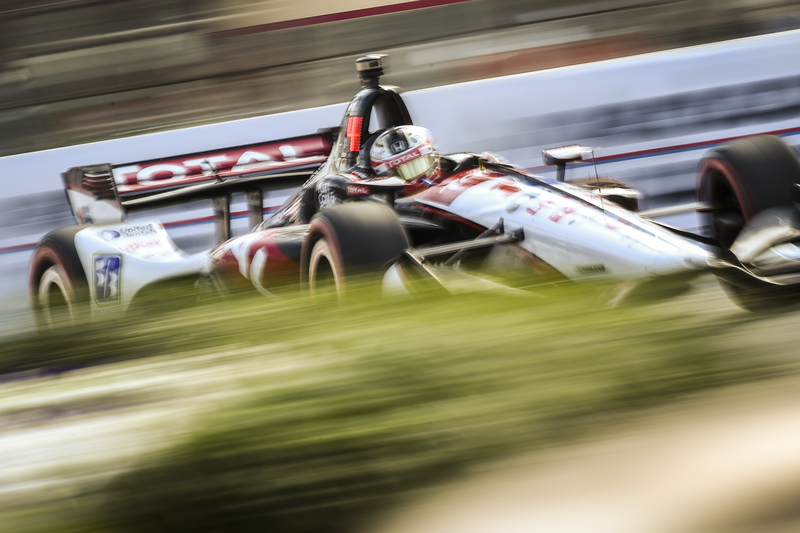 Rahal had only got into a podium position through Dixon’s pit stop mishap, so fourth-place wasn’t too much of a disappointment for him – though he did want to make up for his lost podium at Barber. Simon Pagenaud ran a fairly quiet race with the only minor incident in his race being a slight touch with Hunter-Reay on the first lap. Both drivers got away with it and Pagenaud went onto have a clean race, delivering his best result of the season so far in sixth. The other Penske of Power had a less clean race, spinning at Turn 1 while trying to fend off an overtake from Dixon. This dropped him down to eighth, and over the rest of the race, he only managed to gain one place, finishing seventh. Last week’s race winner Takuma Sato didn’t have the best of races, finishing eighth after a fairly uneventful race buried in the midfield. COTA race winner Colton Herta had an even worse race; the #88 Harding driver got sideways at Turn 9 and hit the wall, breaking his front left suspension and front wing, putting him out of the race. Herta was the only non-finisher, but that doesn’t mean there wasn’t drama elsewhere. Spencer Pigot and Zach Veach got together on the first lap, as did Jack Harvey and Ericsson. All drivers were restarted under the caution and continued in the race with Harvey losing three laps and Pigot and Ericsson losing one – though Ericsson also encountered a drive-thru penalty for avoidable contact. There were no clear replays of what happened, but Harvey ended up in the hedge below the iconic Long Beach fountain! Next up on the IndyCar schedule is the IndyCar Grand Prix on the road course at Indianapolis Motor Speedway on May 11, which kicks off the Month of May for the series.